Halki or Heybeliada, a seminary that has been a source of contention for Turkey's Orthodox community for decades, may be reopened, Patriarch Bartholomew I said. Speaking to Australia's Kosmos newspaper in an exclusive interview after his meeting in April 25 with President Recep Tayyip Erdoğan, the patriarch said he "harbored hopes" for the reopening. "The assurance the President gave us on our request for reopening of the seminary closed for 47 years, made us more optimistic that it would be ready to open for the 2018-2019 school year," he said. Established in 1844 to train Greek Orthodox clerics, the seminary on Heybeliada, an island off the coast of Istanbul, was closed in 1971 under a law banning religious training by non-state entities. 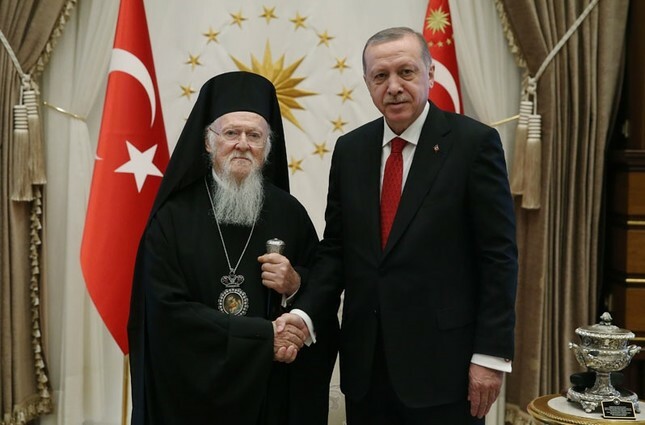 Bartholomew I, spiritual leader of millions of Orthodox Christians as head of the Fener Greek Orthodox Patriarchate in Istanbul, is among clerics trained at the seminary. The patriarchate, in its self-appointed ecumenical status, has been based in Istanbul since the times of the Byzantine Empire that collapsed after the Ottoman conquest of the city. Like other religious communities, Orthodox Christians faced pressure under the state's past policies of discrimination. Although the 1971 decision was a blanket ban on privately owned schools, the seminary remained closed long after similar institutions were allowed to operate, with authorities delaying permission to reopen. The lengthy closure led to speculation that Ankara sought to open a mosque in the Greek capital Athens in exchange for reopening Halki and the removal of restrictions on the ethnic the Turkish community in Greece with regard to electing their mufti. The patriarch said the seminary, which was "unfairly" closed, served humanity and efforts to reopen it have been futile so far, but assurances by President Erdoğan and Foreign Minister Mevlüt Çavuşoğlu made them "more hopeful."